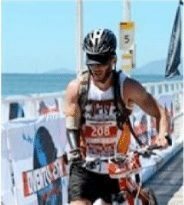 The Yungaburra Triathlon is proud to announce that Michael Lyddiard will be the Ambassador for the Yungaburra Triathlon, supporting the Soldier On organisation and helping our wounded warriors. SGT Michael Lyddiard joined the Australian Defence Force (ADF) at the age of seventeen as a Combat Engineer. Michael served Australia domestically and internationally, seeing what he believes to be the good and bad in people and society, as well as himself. Michael assisted flood and cyclone torn communities and fought in numerous conflicts around the world defending Australia’s interests. Specialising in Explosive Ordinance Disposal for twelve years, Michael worked with an array of different organisations and units. In November 2007, Michael was wounded in Afghanistan trying to render safe an Improvised Explosive Device. At this point he lost his right arm below the elbow, his thumb and index finger on his left hand, and his right eye. Michael became visually impaired in his left eye and endures some hearing loss. Nevertheless, he returned to work two months later with the same determined personality: persistent and passionate. Michael continued active service in the ADF for a further three years, trying to prove his ability as a soldier to himself and his superiors. 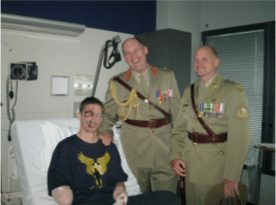 In February 2011 after fifteen years of service, Michael was informed that he was to pursue another form of career with the support of the ADF through a Rehabilitation Transition Program. 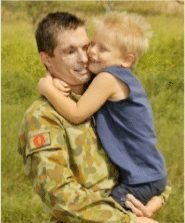 Feeling occupationally isolated from the ADF and the injustice of his termination, Michael felt he had more to prove to the ADF and himself. Additionally, Michael wanted to prove to the man that saved his life on the battlefield, the specialists, and family members that supported him through his transition – that he could succeed regardless of his situation. Michael believes he has never stood alone. 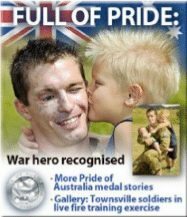 Since being asked to pursue another career from the ADF, battling with post-traumatic stress and his physical losses, he completed a Diploma of Management in late 2011. At the commencement of 2012, inspired by his occupational therapists, Michael started studying Occupational Therapy at James Cook University where he also went through a marriage breakup. Michael’s goal is to live an enriched lifestyle through balance and empowerment; helping others to realise the impossible is possible regardless of individual hardship through education, support, and the willingness for change. 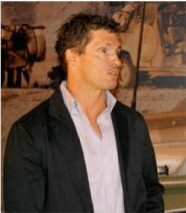 Michael’s own battle with post-traumatic stress, physical loss, divorce, and the experience of occupational isolation and injustice has led him to be able to provide a unique view to lifestyle balance and occupational justice. Achieving a lot of his aspirations, Michael continues to challenge himself and others in society. Since being wounded, Michael has swum from Magnetic Island to Townsville three times (8km’s including a attempt of a double crossing) and swum across the Rottnest Channel in Western Australia a distance of 19.7km (raising $47,000 for Legacy). 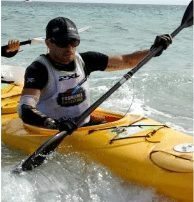 Michael has competed in two Adventurethon races (each Adventurethon consisting of a 20km paddle, 29km mountain bike leg, and 22km run), a 68km maintain bike race in the Paluma Range near Townsville, and the Tasmanian Mark Webber Challenge (350km Eco challenge) in December 2012 raising money for Soldier On. 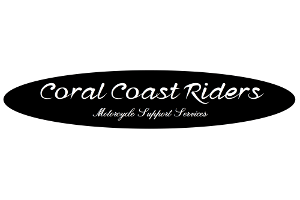 While Michael has had to put an emphasis into his studies and his children for the past two years, Michael continues to compete in triathlons where he came third in his age group during the 2014 Townsville Triathlon Festival. Michael has the aspiration of competing in the 2016 Rio Paralympic Game or World Championships. Being considered as a competitive athlete by his friends, Michael is also a well sought out motivational speaker. Michael has presented to state and public schools, universities, government organisations, sporting and charity groups. Michael tries to inspire people through his presentations on leadership, challenging life and acceptance through choice in order to maintain a balanced and quality of life. 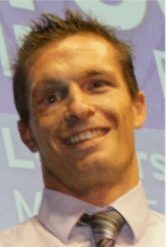 The Townsville Rotary Club has also named Michael a Paul Harris Fellow. He brings a challenging and inspiring message (with just a hint of his larrikin humour) to all he speaks. Although Michael has achieved what he believes is the start of a bright future, he feels he has also lost a lot. Michael shares his parental responsibility of his two children with his ex-partner while studying, competing in challenges, and giving inspirational presentations nationally.